The R. Fulton Cutting residence designed by Ernest Flagg c. 1898 at 24 East 67th Street and Madison Avenue in New York City. Click HERE and HERE for more on the Cutting residence. 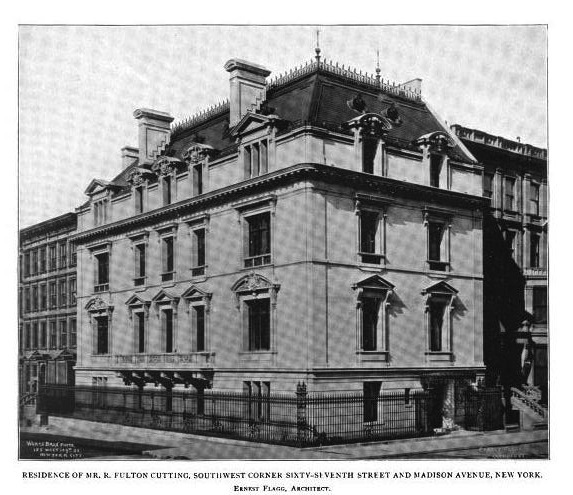 Photo from Architecture & Building, 1898.